As the new home for brands, Instagram is the ideal place to promote your business, reach new customers, and engage your audience. Having an overall content strategy for Instagram is fundamental, but sometimes you want to put some extra effort behind a particularly important goal. That’s where an Instagram marketing campaign comes in. During an Instagram marketing campaign, you’re trying to achieve a specific objective over a fixed period of time. All of the content in your campaign is aligned and focused on a single target, which is specific and measurable. If your Instagram strategy is a slow and steady marathon, campaigns are like sprints. They use more energy over a shorter period of time, and yield results and insights fast. 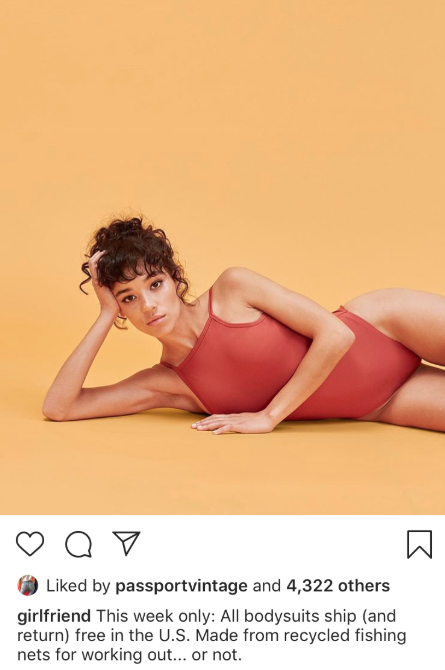 If you want to launch a product, connect with new customers, or build your brand’s reputation, an Instagram campaign can help you achieve your goal—as long as you set yourself up for success. In this post, we’ll introduce you to different types of Instagram marketing campaigns and share tips for running an effective campaign. There are several broad categories of Instagram marketing campaigns, each optimized for different goals and tactics. Here are some of the most common, to give you an idea of where to start planning. During an awareness campaign, you’re pushing hard to increase the visibility of your company, product, or service. For emerging brands, or those trying to connect with a new audience, this can be a campaign to showcase what’s distinct, exciting and exceptional about your brand. Because Instagram is a platform where users want to discover and follow brands (80 percent follow at least one company), it’s a natural platform for your awareness campaign. Getting your content in front of Instagram users is valuable: 75 percent of users take action after seeing a brand’s post, like visiting their website. Younger consumers (like the ones who dominate Instagram) care about more than just what a company sells. They care about the ethics and social responsibility of the brands they support. A cause campaign is a way to champion your brand values. For instance, you could promote an awareness day or event, or partner with charitable organizations. Dove’s #DoveWithoutCruelty campaign highlights the company’s commitment to avoiding animal testing in partnership with PETA and influencers who promote ethical beauty. A cause campaign can build trust and loyalty from an audience that shares your values, and engages socially-conscious users. Running a sale with an Instagram-specific promotion is a frequent tactic of brands. It rewards engaged followers and encourages them to visit your account for sales and discount codes. Now that you can shop directly from Instagram, it’s even easier for users to act on a special sale. FLASH SALE ⚡️15% off with code COZY until midnight tomorrow ⚡️ support the @bcrfcure and get yourself or a loved one a sweater before they’re gone for good ???? thank you @close_knit for the pic ???? Certain holidays and times of year are perfect for running a sale—after all, no one really grows out of the back-to-school fever. But Instagram is also a great place to run a flash sale using a promo code that’s only applicable for a short period of time. It can be a powerful way to drive pre-sales before a product launch, or move inventory to make way for new items. Contests are big on Instagram, because they’re hugely effective at driving engagement. You can set rules for entry that support your campaign goals. For example, asking users to tag a friend to enter is an opportunity to reach new followers. Asking them to enter through a form allows you to grow your email list. Find out more about the many ways to run Instagram contests (and the specific rules you need to know before running one). If you’re launching an exciting new product or service, you may want a campaign to go along with it. This builds anticipation and excitement around your launch, and gives you an opportunity to show off the different advantages and qualities of your new product. For example, Montreal-based retailer Frank & Oak developed an Instagram campaign to promote their #StylePlan subscription box. 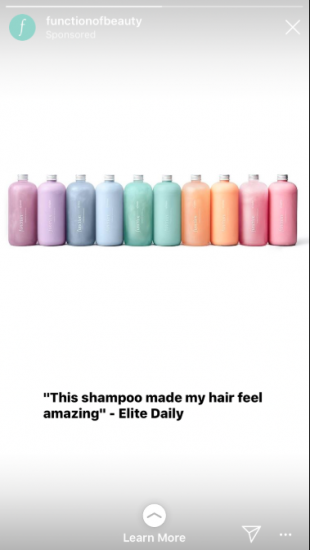 Their campaign posts highlight the value and convenience of the subscription, share looks from both their men’s and women’s lines, and suggest that users can buy it for themselves or as a gift. In user-generated content (UGC) campaigns, you’re encouraging followers and customers to share posts featuring your products, using a specific hashtag to tie the campaign together. A UGC campaign not only promotes awareness of your brand through the hashtag, it also provides you with content that you can use on your own channels. A major incentive for participation by users is the hope that brands will repost their photos. These campaigns all have different goals and methods, but each of them is focused on getting a customer to take a specific action in a fixed period of time. Awareness or user-generated content campaigns might not seem like things you need to put a deadline on, but the messaging and tactics that you’re using will get stale if you keep them around too long. Eventually your audience will stop responding. Lace up your runners and get running! ??????? ?‍♀️ ⠀⠀⠀⠀⠀⠀⠀⠀⠀ I've recently been contacted by @aaptiv to participate in the upcoming virtual 5K Your Way run on October 27th and am so excited to share this event with you! ⠀⠀⠀⠀⠀⠀⠀⠀⠀ Aaptiv is an on-demand audio fitness workout that allows you to workout pretty much anywhere, anytime. I LOVE Aaptiv and fully believe in the app so highly recommend it! ⠀⠀⠀⠀⠀⠀⠀⠀⠀ The best part of the #aaptiv5kyourway event is that Aaptiv has chosen to partner with @charitymiles to support a good cause. This year I have chosen to support @girlupcampaign an organization that helps promote women's rights globally because I believe that equality is key to WELLTHY living. ???????? ⠀⠀⠀⠀⠀⠀⠀⠀⠀ If you are looking to start a new workout program, run a fun 5K, or support a good cause then the 5K Your Way is the perfect opportunity. ⠀⠀⠀⠀⠀⠀⠀⠀⠀ I'd love for you to lace up and join me on October 27th so be sure to sign up by clicking the link in the bio! Now you’ve got plenty of ideas, but an idea is only as good as the strategy behind it. We’ve got tips to help you make a plan for success and achieve your campaign goals. When setting an objective for your campaign, you want to be specific, measurable, attainable, realistic, and time-based. Specific: Who do you want to reach? What do you want them to do? Be precise in your targets. Make sure you have a single goal and that all your campaign content is unified to support it. Measurable: How will you know if you’re successful? Establish a baseline for your current followers and engagement so you can track growth. Attainable: Is your goal realistic? Can it accurately be measured? Goals should take hard work to achieve, but they should not be out of reach. Realistic: This should be based on your budget, current rate of growth, and duration of the campaign. Do your research, and don’t make a wild plan to go from 100 followers to 10,000 in two weeks (unless you’re promising all new followers a free trip to Hawaii). Time-based: The duration of your campaign should be based on your goal and the amount of time you think you’ll need to achieve it. Don’t set an arbitrary limit of one week if your goals are ambitious, but also don’t make it so long that you lose steam. Once you’ve identified your goals, you should plan out each of your campaign posts. Make a roadmap or content calendar of the posts and Stories you want to share each day. If you’re reaching out to influencers (more on that below), ask them to post on a particular day that makes sense according to your calendar. Each post should make sense on its own while still reinforcing the overall message of the campaign. If audiences see multiple posts, they should work together to build excitement. If they only see one, it should be strong enough to entice them to learn more. The content calendar can include posts that give a preview of your campaign (like if you want to announce a sale before you run it, or photos of your product before you release it) to build momentum. Campaigns are a lot of work, and you’ll want to reach for the Gatorade part way through. Having a solid plan in place before you launch will make it easier to maintain a consistent level of quality and creativity throughout. 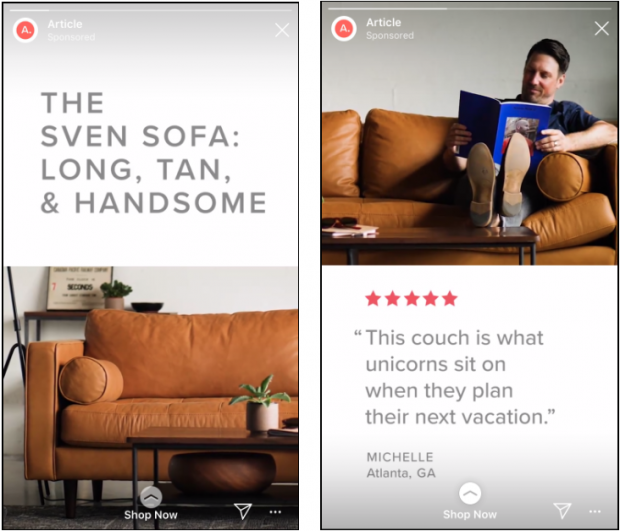 If you’re only running your ads on the Instagram feed, you’re missing out. People watch 400 million Stories each day, but only 50 percent of businesses are using them. 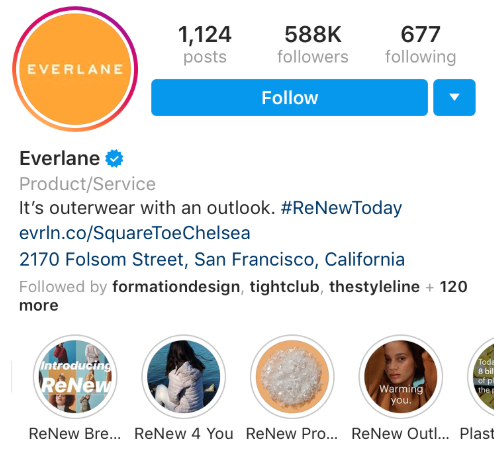 You can also tailor your content for Stories and creating Highlights, like Everlane did for their ReNew campaign. If you’re intimidated by the format, we’ve got a primer on getting started with Instagram Stories. Want to get the most out of your campaign’s lifespan? Use A/B testing to refine your strategy. Test multiple versions of your ads simultaneously, which will maximize your budget by automatically selecting the best-performing versions. You can A/B test almost every element of your ad: images, copy, placements, audiences, landing page. And each test will give you more information about what works best, giving you a ton of data that will help you get even more out of your next Instagram marketing campaign. Your campaign should align with your brand’s overall look and feel, but you can still make it distinct. Unlike a single ad, which benefits from blending well with the rest of your content, a campaign can stand out on its own. It should be memorable and recognizable, so that each piece of the campaign adds up to a total, coherent message. This will help to reinforce your key call-to-action and build familiarity each time someone sees a promotion. It also gives the campaign itself some character and a tone which will guide your content. Think about how you want people to feel when they see your campaign. Is it funny? Calming? Exciting? If a campaign falls in the woods, and no one is around to measure how loud the sound is, did it really make an impact? Before you even launch your campaign, you should have identified the key metrics that you’ll be using to evaluate your success (that’s the M in your S.M.A.R.T goals). For example, in an awareness campaign, you’ll want to pay attention to audience growth, reach, and share of voice. These will vary depending on the objectives of your campaign. There are a ton of metrics you can track on social media, and some analytics are unique to Instagram. Depending on the type of campaign (like a sale or a product launch), you may want to track metrics outside of the platform too, through trackable links or the use of promo codes. Make sure to establish a baseline, so you can accurately measure the impact of your campaign. Influencers are users who have a large, organic audience on Instagram, and whose followers trust their opinions and recommendations. 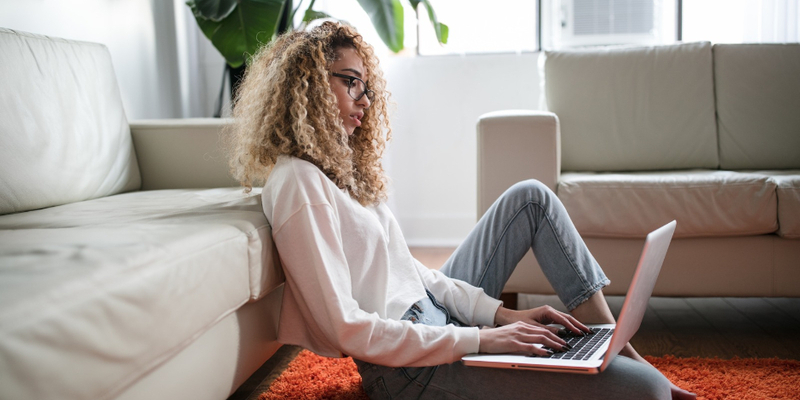 For that reason, influencers can be amazing partners who connect you to a loyal and engaged audience and add authenticity and trust to your campaign. These partnerships only work if they make sense for your campaign and your brand, so do your homework. Identify influencers who share your values and aesthetic, and check out their other branded posts to see how they present sponsored content. When it comes to audiences, pay attention to engagement and fit, not just size. Influencers will smaller but loyal followings, can be a more strategic (and economical!) choice, especially if they’re a strong match for your target audience. For more tips, check out this post from an influencer’s perspective. Budgets are everyone’s favourite part of a campaign strategy, right? We all have to do them, so let’s do them right. When coming up with a campaign budget, identify the tactics that make the most sense for your goals, and be sure to include those costs. You know you’ll need to cover promoted posts and Stories, but working with influencers and running contests come with additional costs. Gather your intel in advance and then build those into your marketing budget. In a perfect world, you’d have infinite funds for all your campaigns, but here on Planet Earth, you might need to make adjustments to your tactics if your funds are limited, or run a shorter campaign. Depending on the goals of your Instagram marketing campaign, you may be sending people off Instagram after they click on your posts or promotions. Don’t forget about the post-click destination! A strong landing page will help you hit your campaign target.